I’ve decided to leave my free patterns up on craftsy for another week because why not? I’m a giver. And maybe I still feel a tinge of residual guilt for hurling my Numbers blueprint/layout over the fence and stomping away from the internet in a huff. Maybe it’s my way of saying, “We cool. I still love ya.” Whatever. Feelings. Free patterns and stuff so please do check it out. 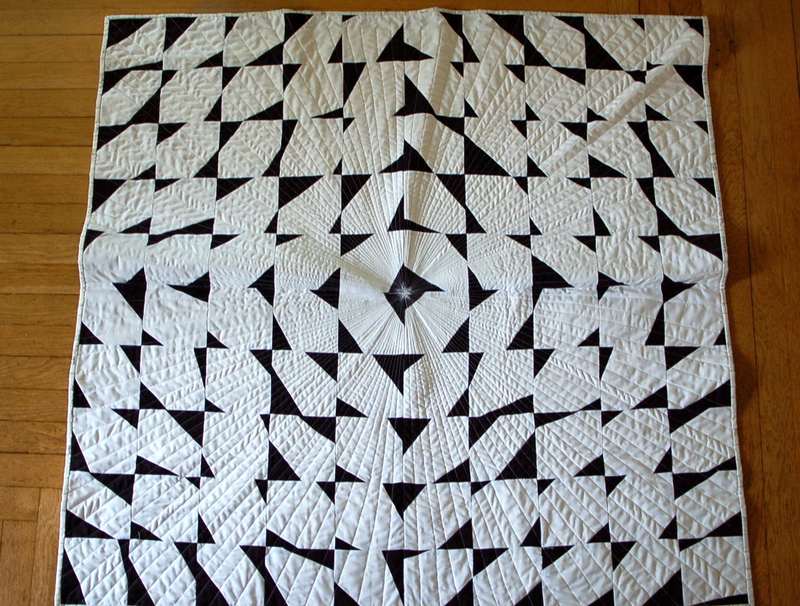 You, too, can make a Flying Farfalle quilt like the one I made here. And if you do, please share your photos and/or blog links with me. I would love to see the beautiful things you make! P.S. – So something about the way I quilted this made it a little wavy. I *think* I can block it and make it better. 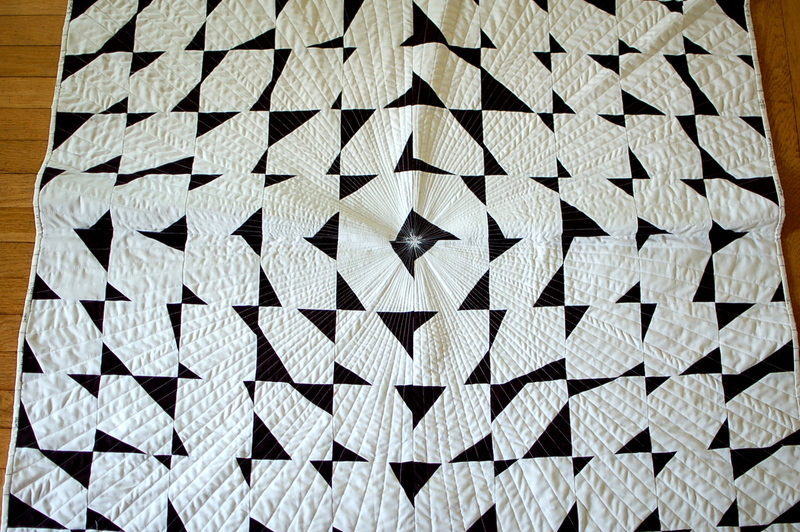 I’m not totally sure since I have never blocked a quilt before, but I am going to give it a go and report results.